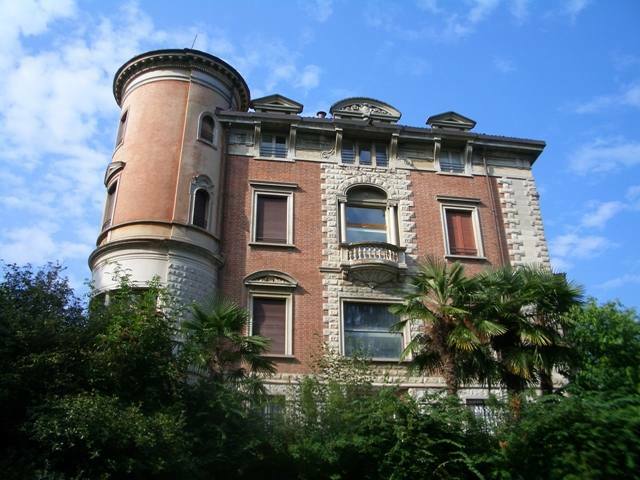 Villa Toeplitz is on a hill east of Sant’Ambrogio, an area in Varese at the foot of the Sacro Monte, in a dominating position towards Mount Orsa, Brunate, the area of Como and the Induno plain. The villa (built in 1901) was named after Polish banker Giuseppe Toeplitz, who purchased it in 1914. It was previously used by the German Hannesen family as a country home. Toeplitz immediately modified the pre-existing structure, especially by making important changes to the park and expanding it to almost 8 hectares, and added channels and plays of water, on the instructions from his wife Edvige Mrozowska and on a project by a famous French gardener. The ambitious design - a true work of hydraulic engineering - involved channelling the water from nearby Mount Martica. 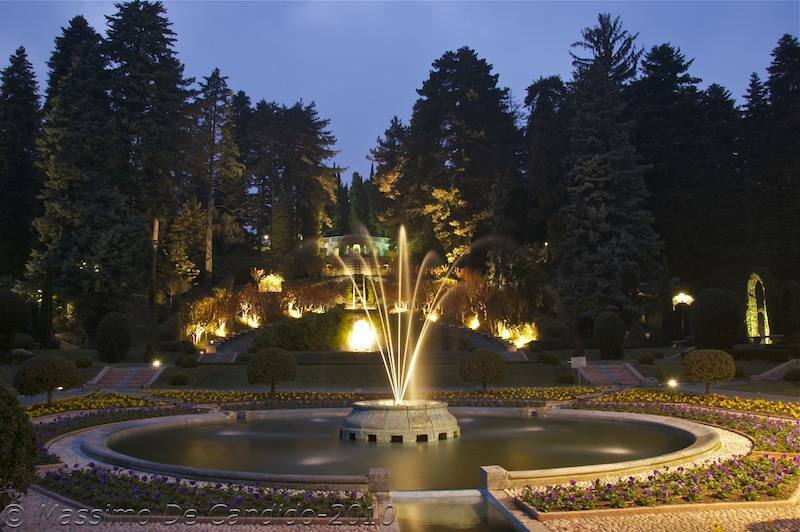 Plays of water, which involved a monumental flight of steps and porphyry waterfalls interrupted by mosaic and grey-marble (from Carrara) fountains, opened out among the park’s vegetation, which was modified by Toeplitz who added cypress hedges and conifers. The villa and park soon became the focus of an intense cultural life that rotated about Lady Edvige. The profoundly religious couple decided to build a chapel, for which architect Goraska was called from Poland to create this small masterpiece. Famous Polish artist Rosen was commissioned to do the frescos. Edvige, who was an intelligent and eclectic woman, was also interested in astronomy. She had a small, perfectly-equipped observatory built. When Giuseppe Toeplitz died, the villa and park were left to his wife and son Ludovico who, at the end of WWII, sold it to the Mocchetti brothers from Legnano. 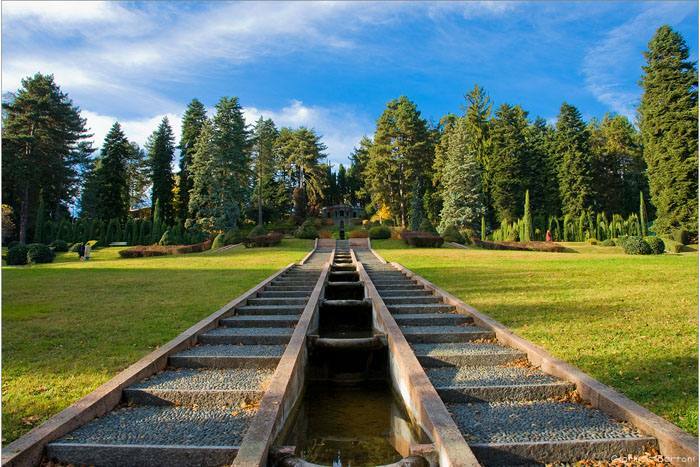 In 1972, the property was purchased by the Municipality of Varese, which decided to open the park to the public. 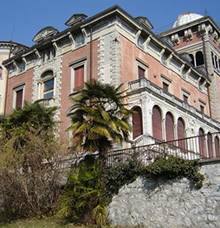 The villa is currently one of the decentralised seats of the University of Insubria. Today it occupies approximately 4 hectares, and is characterised by an original architecture of little paths embellished with several varieties of exotic species and enlivened with plays of water. The Asian-like profile of the ponds and fountains is due to the taste of Edvige Mrozowska, whose several trips to the Orient left her charmed. As for the flora, there are different types of conifers, which for the most part are ornamental. Chestnut trees, birch and ash trees are on the hill. The lower part of the park is home to a marvellous beech whose leaves resemble fern leaves (Asplenifolia), and to rows of lime trees. The woods have several types of fauna, which live here undisturbed: red squirrels and larger red and green woodpeckers are often seen, along with fire salamanders in a spring water puddle. There are many buildings in the park: the greenhouses, stable, chapel, bocce court, dirt tennis court, panoramic viewpoint, pool and naturally the villa.